Plum Inc., is a financial technology (fintech) company in the Commercial Real Estate (CRE) industry. Our opportunity was to build a new category that is direct to the small-balance CRE owner. We identified that the $1M - $50M Commercial Real Estate owner investor was underserved. We used qualitative and quantitative research and data science to build the Plum brand and its customer personas. We leveraged this deep market knowledge to identify owners across multiple CRE property types who were in need of financing. To quickly reach prospective clients, we implemented a full stack of marketing automation including, but not limited to, Salesforce, Pardot, Tableau, and Google Analytics. The cross-channel marketing program tripled qualified deals and doubled sales conversions. The sales funnel was filled with hundreds of millions of dollars in CRE deals in under a year. 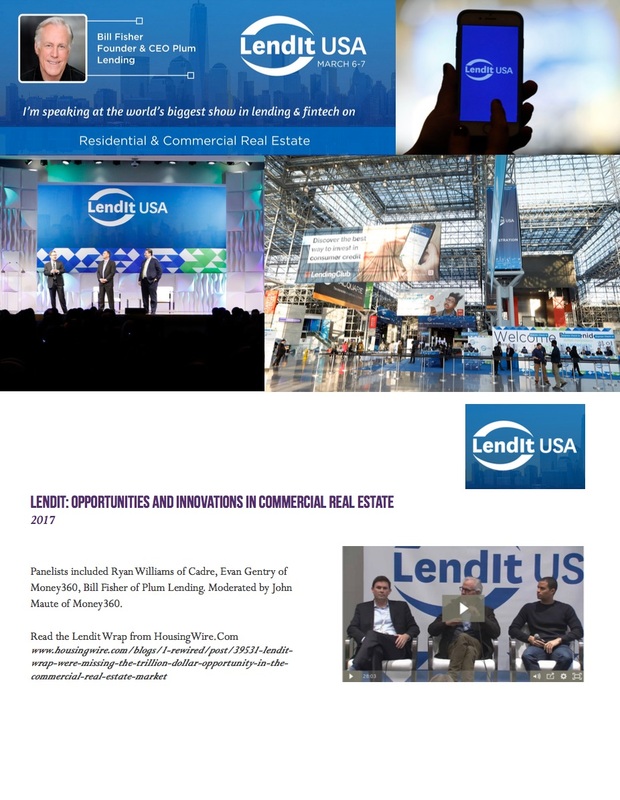 In addition, we negotiated articles and interviews with Globe ST, NREI, CRE News, The CRE Show and Bisnow.